With Ramadan just around the corner once again, we’ve put together our pick of the top Iftars and Ramadan eats across the UAE. Relax at the stunning Bayside Restaurant and Terrace, overlooking the Dubai Water Canal as you enjoy Iftar in the company of friends. Each day is a new blessing and the skilled chefs at this popular modern hotel will present a new Iftar menu every day – six thoughtfully crafted menus priced at AED 165 per person. Iftar is served from Sunset to 11pm. All group bookings made before Ramadan, are offered at a special discount of 20%. With both an Iftar buffet and a Suhoor tent, this notable hotel offers a fine choice this Ramadan. La Terrazza, the all-day dining restaurant, will host a lavish Iftar daily from 7pm. 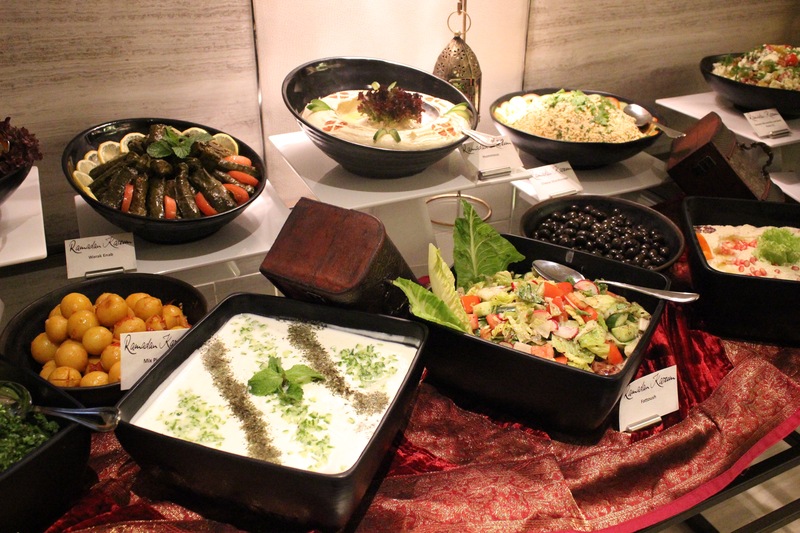 Featuring a variety of cuisines and traditional Ramadan favourites, the buffet is priced at AED 175 per person. To experience the true spirit of Ramadan, Hilton Abu Dhabi has put up a grand Suhoor Tent at the Beach Garden which will be open from 9pm until 2am on weekdays, and until 3am on Thursday and Friday.There will be a cover charge of AED 50 from Saturday to Wednesday, and AED 60 on weekends. The suhoor menu features delicacies from across the Middle East, which can be enjoyed while an oud player performs live music. For information and booking contact abudhabi.hilton.com. Every evening after sunset, Burger & Lobster will be offering two very unique and distinct Iftar menus catered for individuals, friends and families during the Holy Month. Savour trademark dishes per person including the classic Cheeseburger, the ever popular Mini Lobster Roll, warm Soup of the Day served with Brioche and a half pounder of lobster lusciously prepared for a hearty and filling Iftar. Visit www.burgerandlobster.com/en/location/dubai for more information.